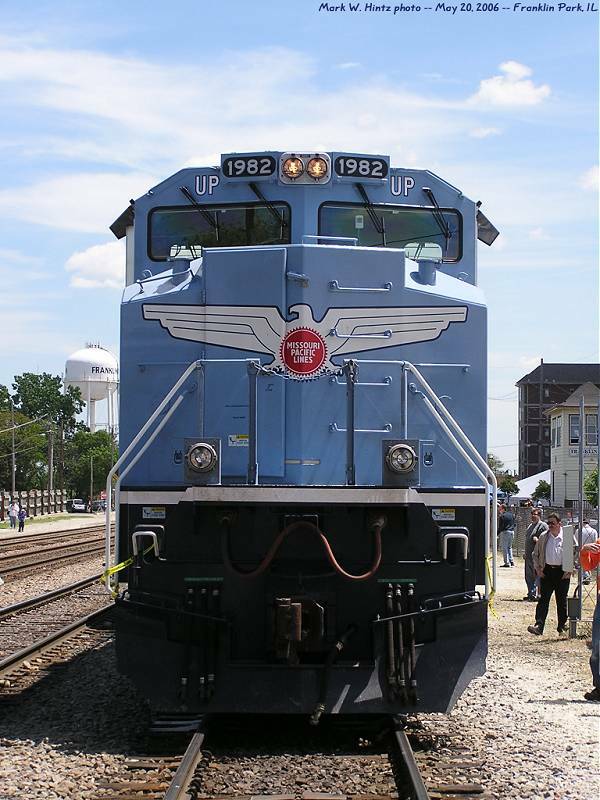 Franklin Park, Illinois held its Railroad Daze once again this year, with some musical acts on 5/19 and locomotives from several railroads on display 5/20. Star of the show was Union Pacific EMD SD70ACe 1982, one of UP's "Heritage" locomotives, painted in a stylized Missouri Pacific color scheme. A few railroads that were expected to have displays weren't represented, nonetheless, it was a nice display and a lot of fun. The food was great too! Click here to start viewing the album, or click a thumbnail to enlarge it. Press F11 to toggle a full-screen view in most browsers.